White . . . with a little pop of lime green. Perfect. Beautiful! I could live with each and every piece! Especially love those votive candle holders! Oh, and every, single, pillow!! Have a great day! 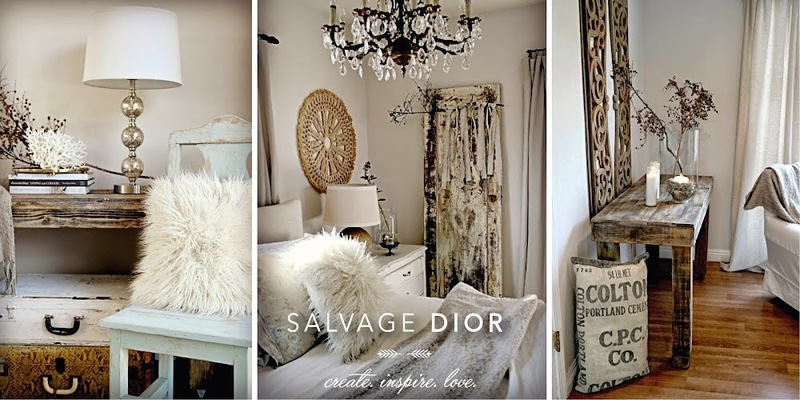 Love every photo and the vignettes are marvelous! Love your color combinations. Oh Kate~ I would LOVE to come and shop your store. I guess it's lucky for my wallet that I don't live nearby you... :) Your displays are magnificent! I especially love that greyish cabinet/dresser. Sweet perfection! You know my ex-husband would have NEVER slept in a bed with a headboard like yours. He would have been afraid he would have inhaled toxic lead paint chips and DIED!! By the way, I LOVE the headboard! I love this post!! Simply beautiful images! I love those floral pillows. Where did you find that fabric? Hope your doing well and having a lovely week. As always, beautiful photos...from a beautiful lady. oh, how i love all this chippiness:-) Thanks for sharing all this lovliness with us. How are you managing with a larger space? It looks amazing btw!! These are beautiful Kate. I love seeing pictures from Country Roads. Oh I could have so much fun shopping in there. I saw some divine chippyness in your photos. I'm in love with the backless settee!!! Swooning over major Ooooooh! and Awwwww-ness!! love all your old beauty, chipped and peeled soulfully. Lovely photos, Kate! 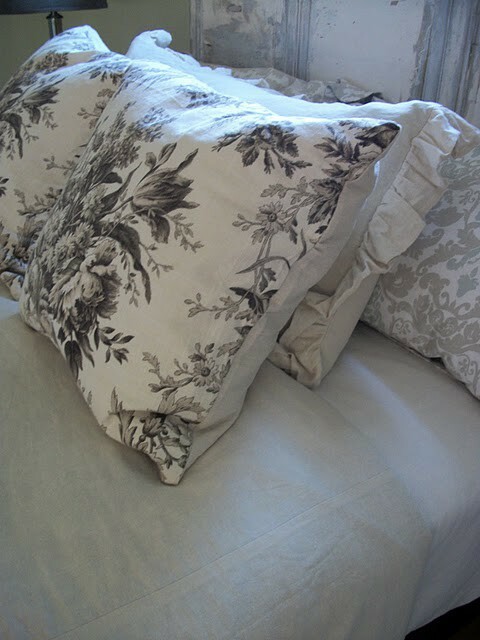 I especially love the bedding...beautifully restful! Lots of wonderfully "ChiPPy" Pieces - YES!*! *!